After receiving your hearing aids, an audiologist will set the devices to best fit your hearing needs and teach you how to properly care for them. After a few months, however, you may begin to notice some tell-tale signs that your hearing aids need more adjustment — volume fluctuations, high-pitched sounds, and discomfort. To get the most from your hearing aids, you need to have them adjusted, or re-programmed, on a regular basis. Hearing aids, just like any piece of technology, need proper care. You should regularly clean them with a soft cloth, check the batteries, and store them in a dry container. Keep in mind: You cannot adjust the specific settings on your hearing aid without an audiologist. It is normal to experience fluctuations in hearing, and at some point, your hearing aids will need to be reprogrammed. Your audiologist may adjust settings including frequency, volume, and background noise filtration. If your audiologist suspects a change in your hearing, he or she may recommend an additional hearing test. The results of the test help your audiologist set your hearing aids to a setting that benefits you most. Sometimes, your device’s ear molds can deteriorate, which causes discomfort. Your audiologist can take new molds or adjust your current ones to better fit within the ear. There are two main categories of hearing aids, analog and digital. Today, there are two main categories of hearing aids. Again, an audiologist is always required to adjust and set your hearing aid. Analog hearing aids intensify all sounds and can be used to manage several different types of hearing loss. Digital hearing aids, on the other hand, are more complex. They self-adjust to your specific type of hearing loss. During a routine appointment, your audiologist will both ask about your experience with your hearing aids and clean them thoroughly. After you leave the office, it may take a few weeks to get used to your new hearing program or device mold. 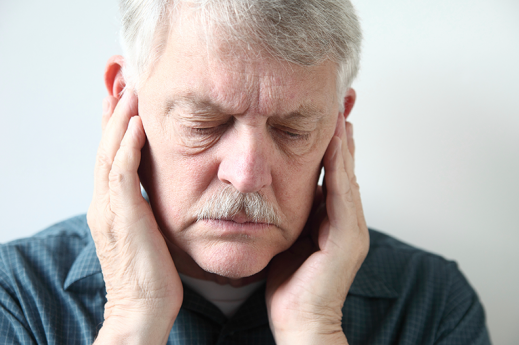 If discomfort or hearing troubles persist, you may need to return for an additional adjustment. For more information about making an audiology appointment or if you have questions about your hearing aids, contact the UPMC Center for Audiology and Hearing Aids at (412) 647-2030.